We’re Paula & Jeff, and we'd like to welcome you to the "Land of Smiles"
We caught the travel bug and our love of Phuket in our early twenties and have been traveling to the Island ever since. Now in our fifties we continue to travel to Phuket along with other top destinations throughout Thailand. Our first taste of Phuket was back in 1990, when the Island was a sleepy getaway where the main nightlife area of Bangla Road in Patong was dirt road and the buildings were not much more than tin structures. 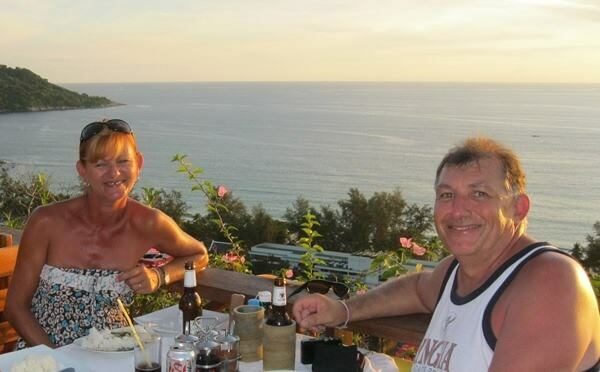 As a young couple, we have experienced what Phuket was like when we were young and carefree, it's was and still is a fantastic choice and has long been a popular destination for young travellers and backpackers. As a family who have taken two children on family vacations to Phuket, we understand the importance of finding the best places to stay, suitable activities and tours that are best suited for the whole family. And now, as a family whose children are all grown up, we have experienced the relaxation and peace that Phuket offers to the more mature aged travellers. So, wherever you are in life, nothing would give us greater pleasure than helping you create your perfect vacation in Phuket. We created Phuket Travel Secrets in September 2009, to help fellow travellers with travel tips and vacation ideas. We are not travel agents or a large company trying to sell you a holiday. 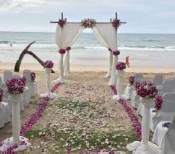 We're a couple passionate about the Island of Phuket and what it has to offer. The information that we share with you, doesn't come from travel books but from first-hand experience and insider information that the travel books don’t necessarily tell you. We have tried and tested a host of activities, circumnavigated the island for the best beaches, searched out the best tours and tour companies, visited the offshore islands, stayed in all types of accommodation from budget hotels through to 5 star resorts but most importantly we have met some amazing locals along the way. We know that finding good travel tips and information can be at times a little overwhelming! 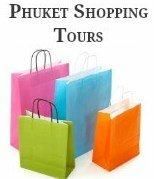 Our aim with our website is to assist fellow travellers who are planning a holiday to Phuket, with up to date, easy to read information. So, as you can make informed decisions about the best places to stay, the best attractions to see and the best day trips to take along with very handy travel tips along the way. Paula & Jeff are the founders, primary authors, publishers, photographers and editors at Phuket Travel Secrets. Born and bred in Australia, we both grew up in Lithgow, a coal mining town located west of the Blue Mountains in New South Wales. Looking for warmer weather we moved to Queensland in 2001 and made our home on the Gold Coast, five minutes from some of the best beaches in the world and a popular destination for international visitors. In 2017 we moved back to New South Wales to be closer to our families and for the time being we call Newcastle home. Whilst we know we are blessed with beautiful beaches right here on our doorstep, we still prefer to take our holidays to the Island of Phuket and who knows one day we may decide to call the Island home. The Island is blessed with beautiful beaches, wonderful shopping, delicious cuisine, attractions and extremely colourful nightlife. Whilst we love and enjoy everything that Phuket offers, what we love most about Phuket which draws us back year after year is the local people, the culture and the relaxing atmosphere that you too can discover when you visit Phuket. Phuket Travel Secrets is not sponsored, we pay for all our flights, accommodation, tours and meals. With the support and guidance of a website building company called SBI we are constantly updating and expanding our pages to give you the latest information and travel tips to help you plan your own vacation to Phuket. Once again, we thank you for visiting the pages throughout our website, and we hope that you come back often to follow our updates. If you can’t find what you are looking for or have a question that you would like to ask, please feel free to contact us, as we welcome any questions, comments and feedback. So as you don't miss any new pages, you might like to sign up to our blog and join us on Facebook where you will find more travel tips and see more of our favourite pictures. Happy Travels in Phuket and Beyond! Lets us help you start exploring ! Just click on the images below to start exploring your journey to Phuket.